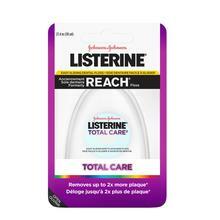 LISTERINE TOTAL CARE® + WHITENING FLOSS is rated 5.0 out of 5 by 1. It’s the floss that does it all! The unique MICRO-GROOVES® technology flexes to the contours of your mouth and removes up to 2x more plaque vs. the leading easy-gliding floss. Plus, baking soda removes the tough stains left behind by coffee, tea and red wine. 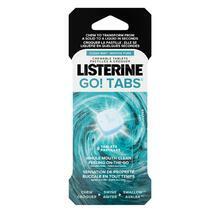 Available in Mint flavour for added freshness. Rated 5 out of 5 by Bob from Best dental floss I have ever used All my life, I have been frustrated by dental floss that shreds between my teeth, which are very tight. It was always a problem to get it out-- especially at the back. 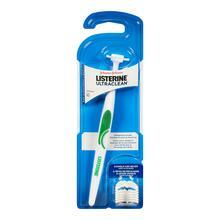 This is the best I have used to get between my teeth and NO SHREDDING! One observation, however, is that the Total Care floss is really, really hard to find in stores! 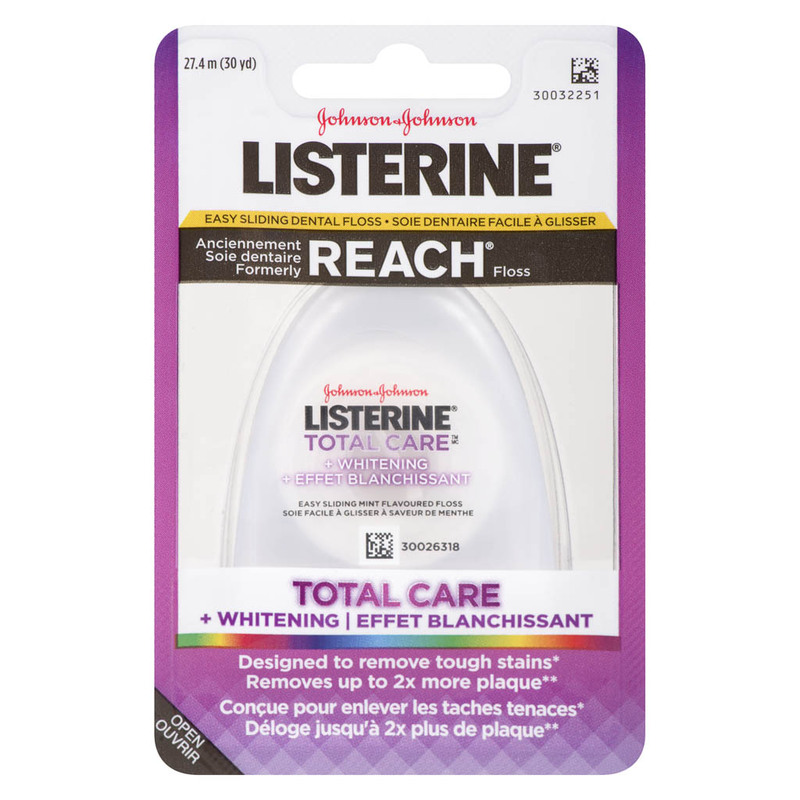 With regard to Listerine mouthwash, I use another brand because I hate the taste of Listerine, but I do agree that flossing needs to be combined with a good quality mouthwash.